This offering is one amazing and highly unusual cabinet specimen, the likes of which few have ever seen. 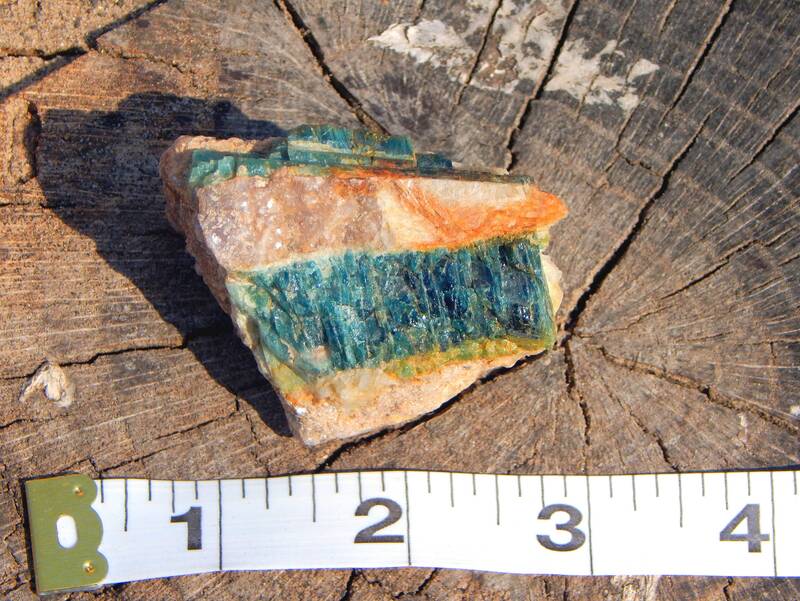 Two large rods of natural Indicolite, or blue tourmaline penetrates the matrix stone on either side, the larger fringed by a layer of bright green tourmaline. This stone is accented by a frosting of lilac lepidolite and mica. This specimen measures 2.2 inches by 1.8 inches and weighs 99.5 grams. 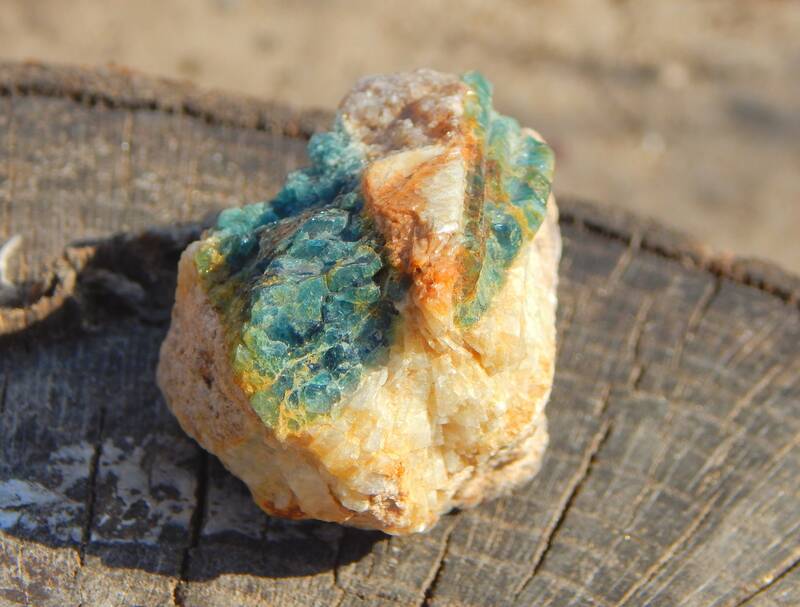 It originates from Brazil. 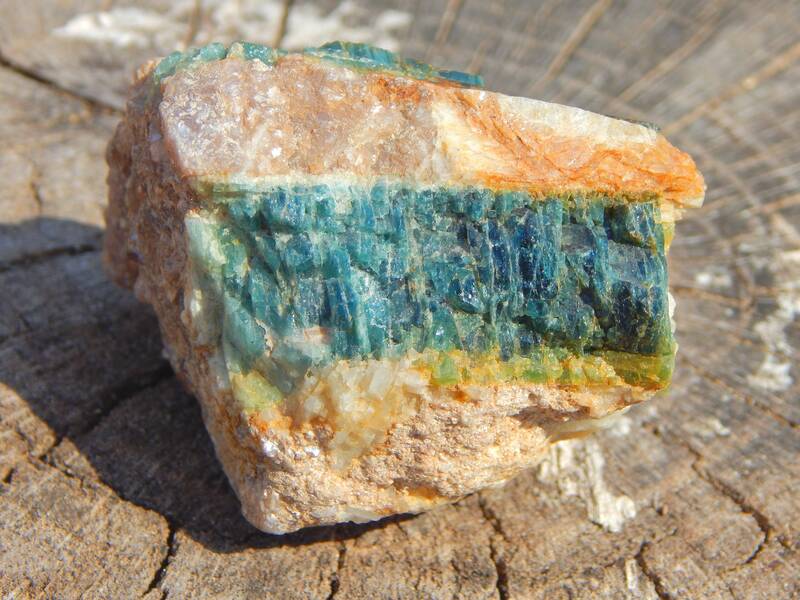 Blue tourmaline, also called indicolite or indigolite, is a very rare and special kind of tourmaline. The soothing blue color promotes a calming effect, and offers relief from stress. 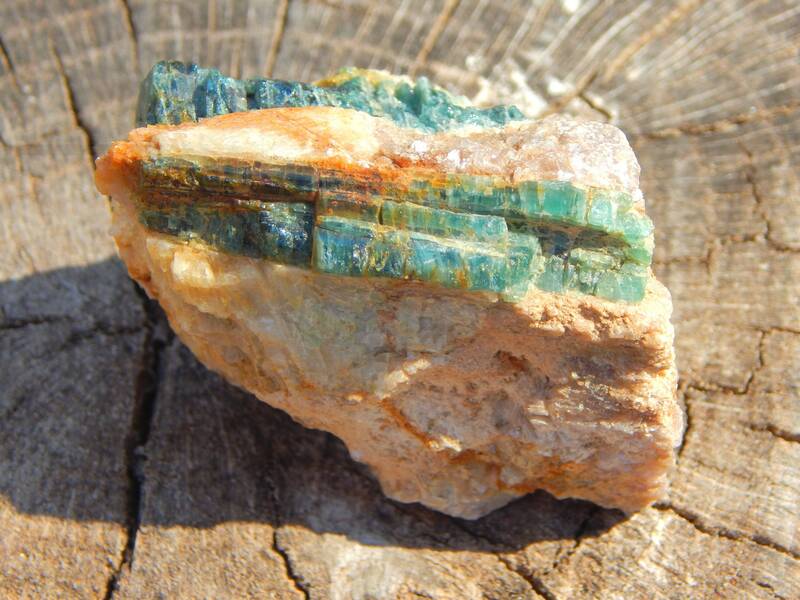 Indicolite brings joy and happiness. It promotes harmony, tolerance and kindness. Some uses are to develop psychic gifts, to open doors and communication with the spiritual realm, to facilitate deep meditation and to better explore and understand past lives. 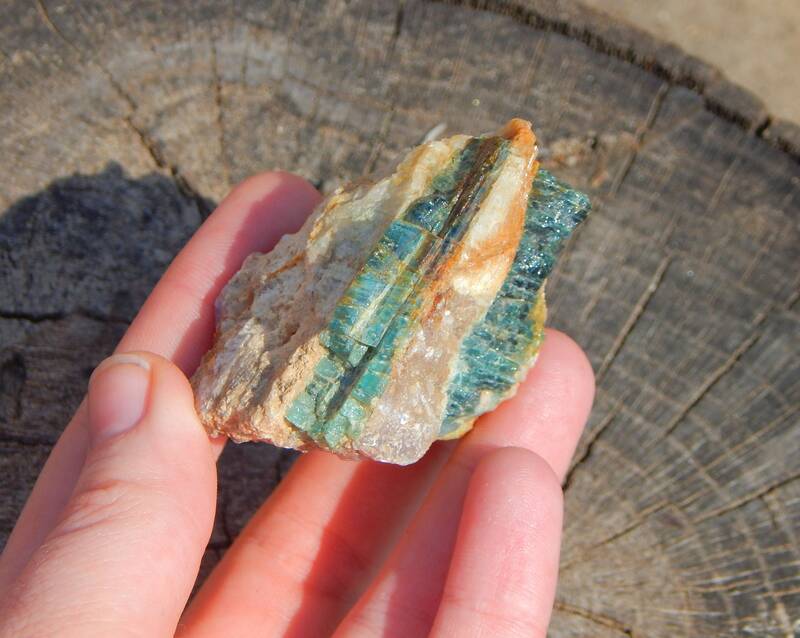 Green Tourmaline's inherent connection with the Earth makes it a great aid for those who enjoy working with any and all aspects of nature. 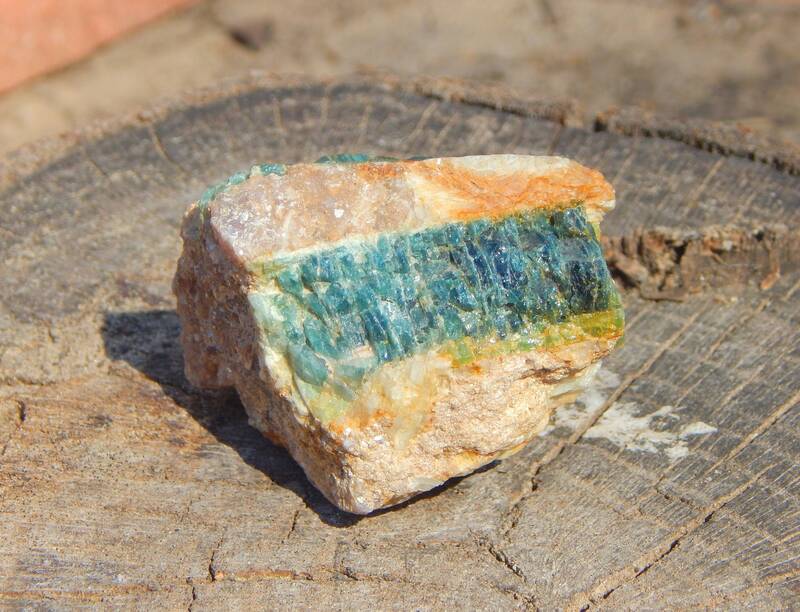 This property of Green Tourmaline is said to make it possible for one to connect with the nature spirits using this crystal. Additionally, Green Tourmaline aids in connecting one to the cycles of life, which can be of great assistance in planning and implementing new projects. 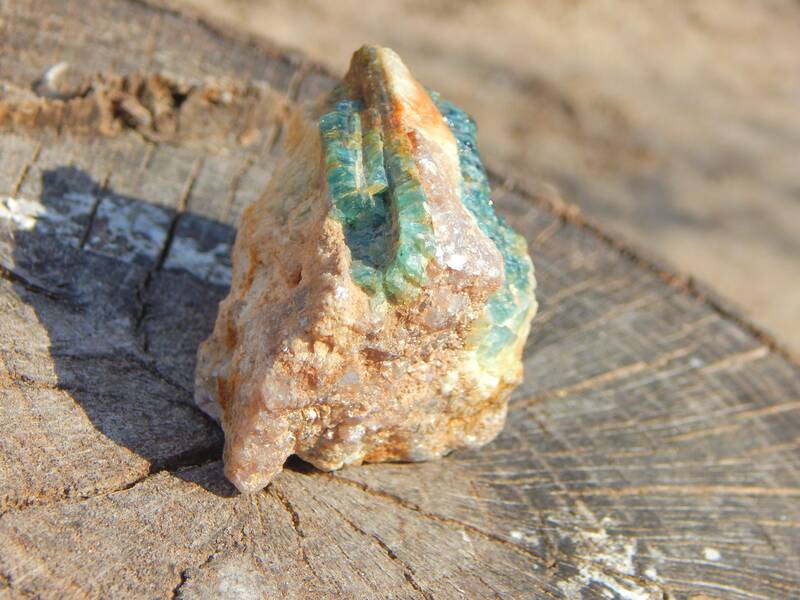 It is also thought to be a stone useful for attracting prosperity, abundance and one's heart's desires.